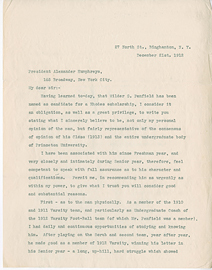 Rhodes scholarship recommendation by George B. McClellan, December 17, 1912. 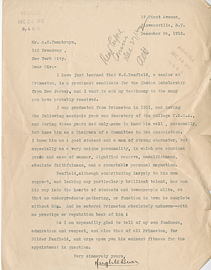 Rhodes scholarship recommendation by George Thornton Emmons, December 1912. 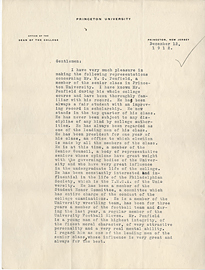 Rhodes scholarship recommendation by Howard McClenahan, December 12, 1912. 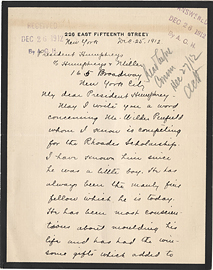 Rhodes scholarship recommendation by Hugh Burr, December 24, 1912. 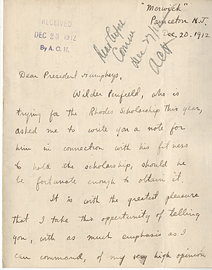 Rhodes scholarship recommendation by J.P. Inglis and J.W. 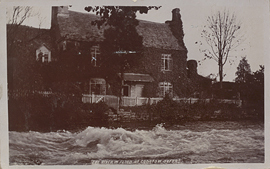 MacQuarrie, December 14, 1910. 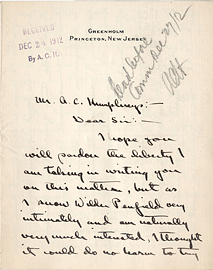 Rhodes scholarship recommendation by Joseph E. Raycroft, December 18, 1912. 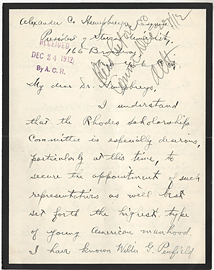 Rhodes scholarship recommendation by Maitland V. Bartlett, December 25, 1912. 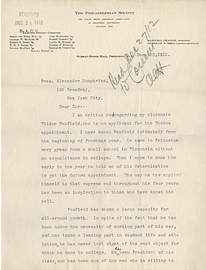 Rhodes scholarship recommendation by Maxwell Chaplin, December 23, 1912. 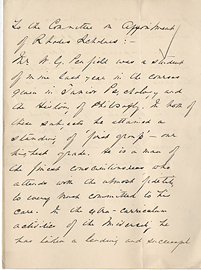 Rhodes scholarship recommendation by R.B.C. 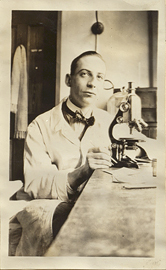 Johnson, December 18, 1912. 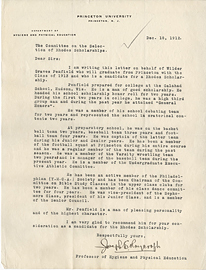 Rhodes scholarship recommendation by Randolph West, December 20, 1912. 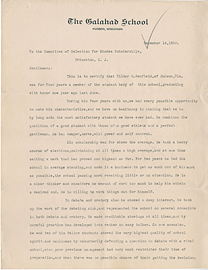 Rhodes scholarship recommendation by Thomas A. Wilson, December 21, 1912. 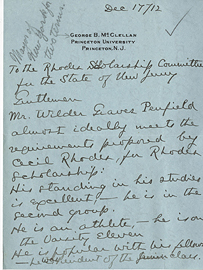 Rhodes scholarship recommendation by William Chester, December 21, 1912. 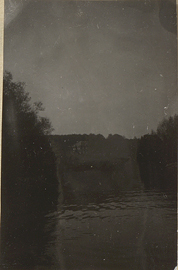 Rio Hortega (H.M. Carleton), photograph.